Every cake I make is unique and tailored to individual requirements. The pictures below are examples my work in order to give you an idea of what I can do. Please email me to discuss your requirements. One of my favourite treats. Multiple layers of soft chocolate sponge infused with cherry liqueur covered with fresh whipped cream, chocolate flakes and sweet black cherries. Available in various shapes and sizes. 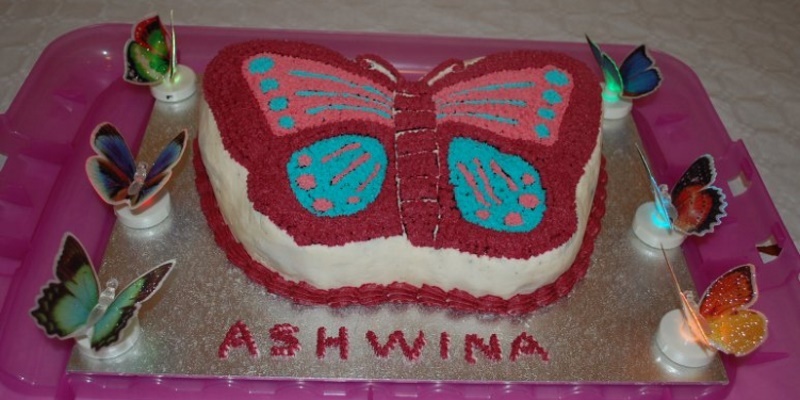 A beautiful butterfly-shaped cake for a girl's birthday. Chocolate sponge decorated with rose pink and turquoise buttercream. These are both based on a 9-inch chocolate sponge cakes with chocolate buttercream basketweave on the sides. 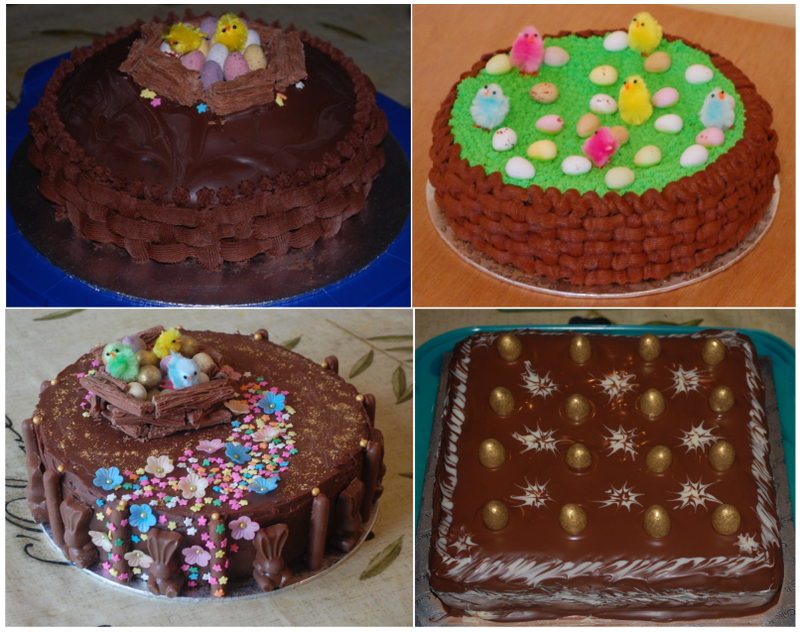 The cake on the left is covered with milk chocolate and topped with a nest of Cadburys flake. The other is topped with a grassy green buttercream and decorated with mini eggs and fluffy easter chicks. A perfect birthday cake for any young octonauts fan. The cakes on either side are 9 inch round chocolate cakes covered with fondant icing depicting Captain Barnacles or Kwazii and the GUP-B or any other design you want. An indulgent dessert for a summer's day. 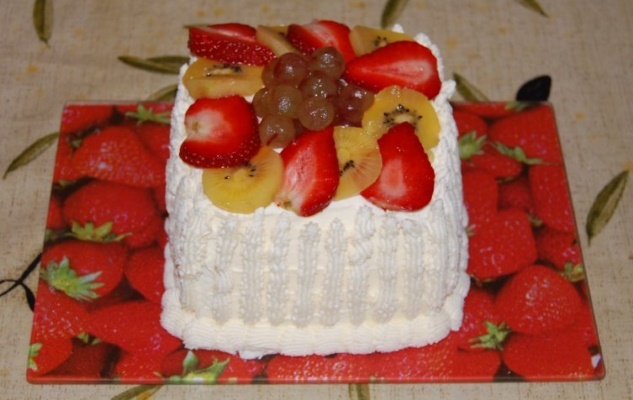 This small 5-inch square cake is made from light fluffy eggless sponge covered with fresh whipped cream and topped with fresh grapes, strawberries and kiwi fruit.